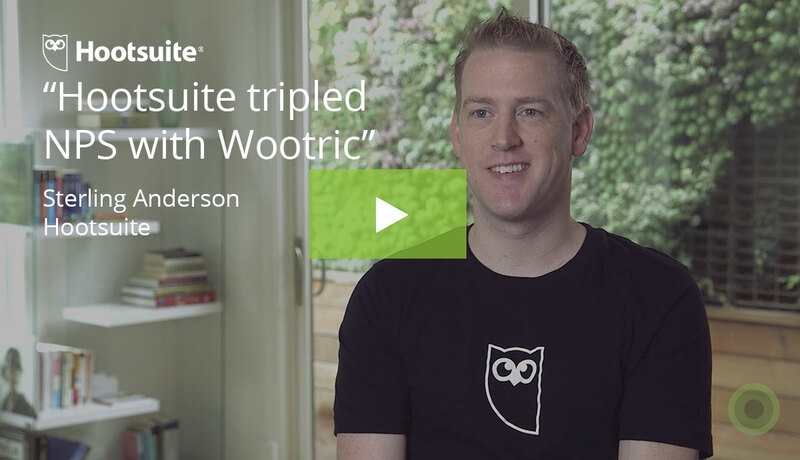 Wootric is built for Enterprise Feedback Management. 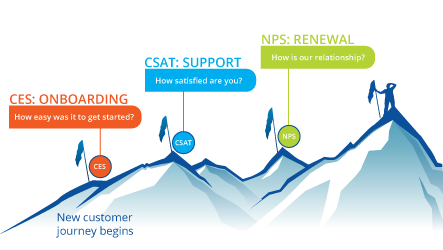 Sales and Support conversations are transformed when teams have Voice of the Customer data at their fingertips. 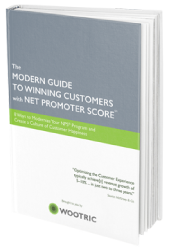 All of your customer journey metrics in one place. 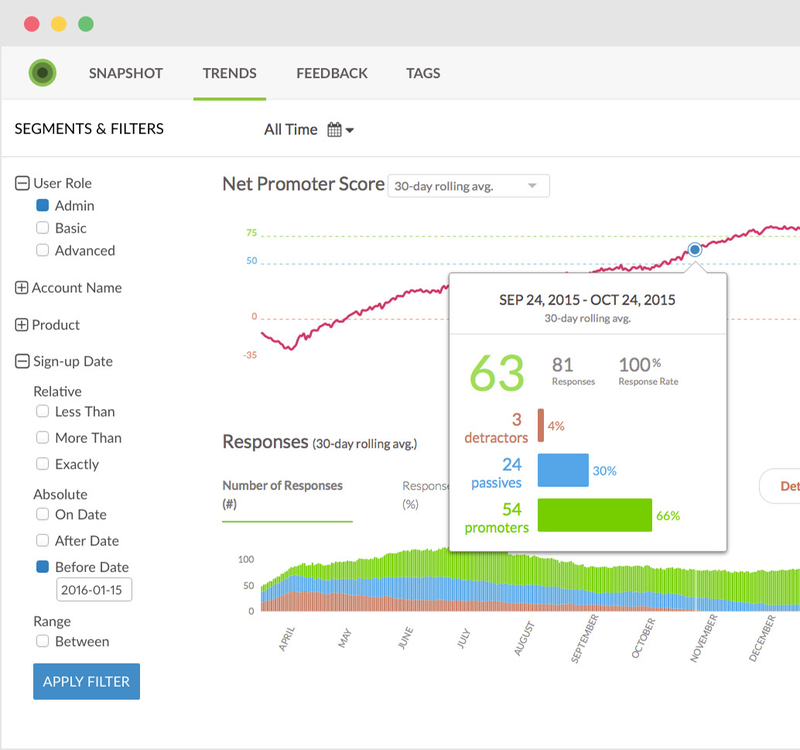 Track CX metrics across channels, touch points, and across your entire customer base. View your rolling average metrics over time. Diagnose by your business drivers. Close the loop with customers. Survey a sample of your customers everyday with our trusted settings. Or, survey customers based on events using parameters you define. 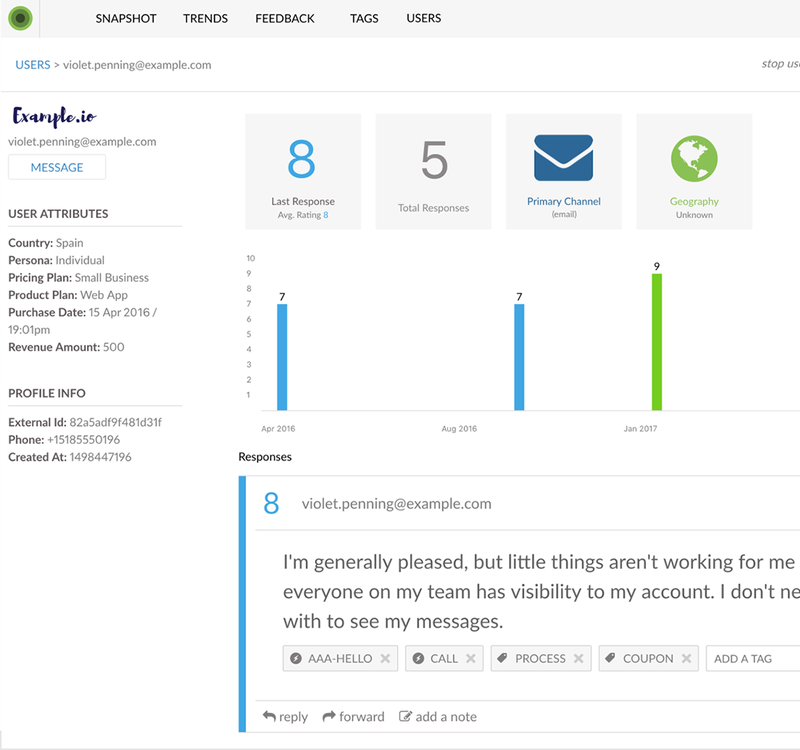 Unlock insights from customer comments in your feedback command center. 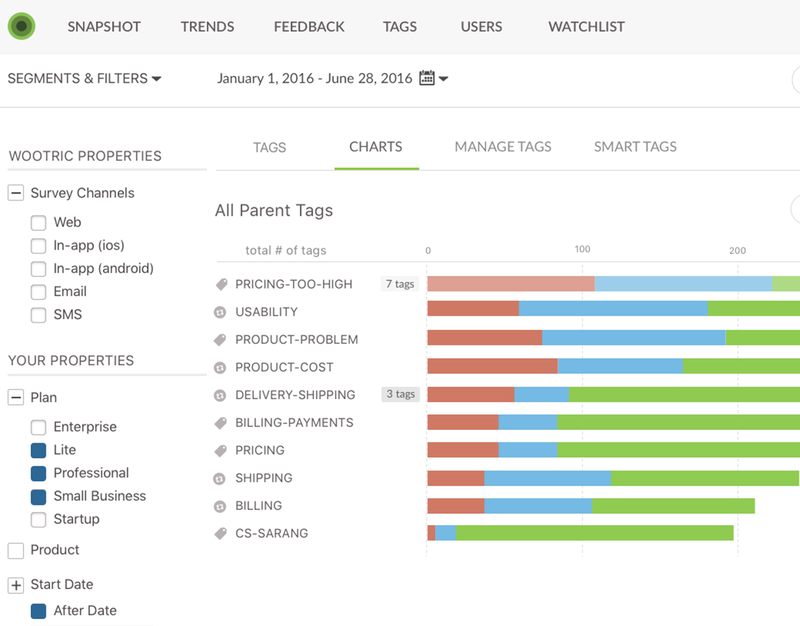 Text and sentiment analytics automatically categorize feedback in real-time to help you surface issues, prioritize product improvements, or route for follow up. 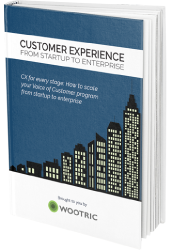 Wootric trains our industry-specific Natural Language Processing (NLP) engine to surface themes and assign sentiment. See results in a useful, actionable format. Includes auto-tagging of your keywords, plus unlimited custom tags. 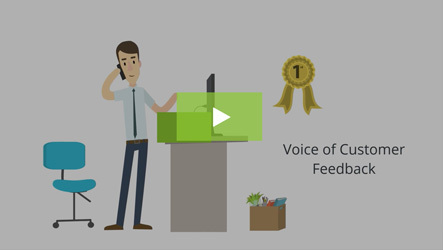 Analyze all of your Voice of the Customer data in one place. Upload customer feedback from any source for a unified view. Learn more.